Wonderful blogs, videos and podcasts on everything Catholic and why we do what we do! Great resource and includes the readings for the day. Catholic news, Saint of the Day and daily meditations. 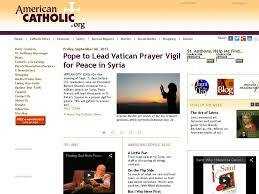 Catholic encyclopedia, news, and information about Saints. Volunteer Opportunities in the Tri-Valley Area. How does Halloween and our Catholic faith come together into one? You'll find out that saints played a major role in this spooky holiday!